Dr. Dagmar Kunze graduated in Horticultural Sciences from the University of Hannover and holds a doctoral degree in Agricultural Economics from the University of Göttingen. In 2010 she joined the AGEP Network and became Speaker in 2018. Dr. Dagmar Kunze graduated in Horticultural Sciences from the University of Hannover and holds a doctoral degree in Agricultural Economics from the University of Göttingen. Since 2010 she coordinates the Master programme in International Horticulture at Leibniz Universität Hannover and participates in the AGEP meetings. She has worked twelve years for FAO (Food and Agriculture Organisation of the United Nations) in Accra/Ghana and Rome/Italy as a farming systems and food security officer and a number of years for GIZ (Gesellschaft für Internationale Zusammenarbeit) in regional development, as well as for Universities in Göttingen and Berlin mostly in Africa. 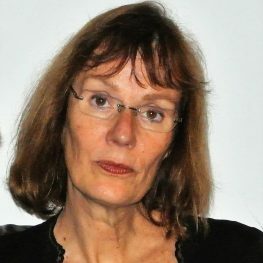 Besides the Master programme she coordinates, Dr. Kunze is part of the HORTINLEA project http://www.hortinlea.org/ under the GlobE Initiative of BMBF https://www.bmbf.de/en/globe-research-for-the-global-food-supply-1437.html , mainly responsible for the Capacity Building sub-project which supports over 30 PhD students in their early science career building. Dr. Dagmar Kunze teaches horticultural marketing as well as development theory and policy in the above mentioned Master programme at Leibniz Universität. She is involved in various DAAD summer schools and is evaluator for BEAF (Advisory Service on Agricultural Research for Development). In 2010 she joined the AGEP Network and became Speaker in 2018.